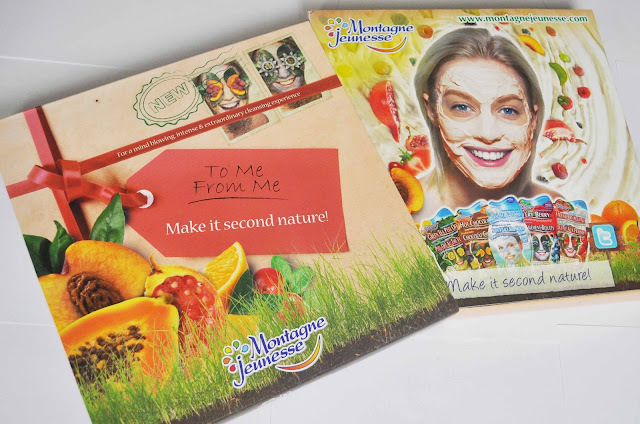 Montagne Jeunesse are always coming up with new ideas for their skin care, my favourite being their Travel Pamper Pack (review here)... 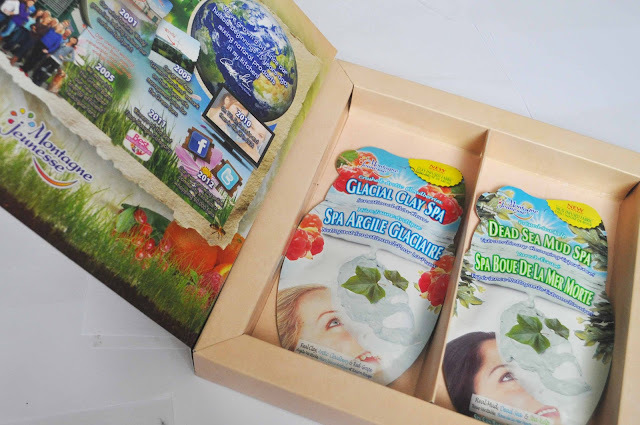 This time they have moved on to Clay Spa masks, which I was very excited to have the opportunity to try out and review as I have never tried anything like this before. "Unlike any other masque, Clay Spas are created with world's first technology- specially sourced clays are cleverly infused into natural bamboo fabric, creating a completely new and never seen before type of face masque that makes cleansing better, quicker and easier than ever before". To use the masks, you just tear open the sachet and there is a thin, paper-like mask inside which is covered in the clay spa treatment. I found it very fiddley to apply and it was hard to get it on my face properly as it was a little too big and kept bunching up on me, but I have read other people's reviews and they had no problem so it is probably just me being dopey haha! Here is a little run down of the two masks. This mask is my favourite of the two. I am a big fan of skincare that has a herbal, spa-like fragance and this has just that and it feels very cool and refreshing to use. The mask contains dead sea minerals from seaweed and kelp which claims to thoroughly cleanse the skin and bring it back to life. After I washed the mask off, my skin did feel very clean and soft as it does after I use any Montagne Jeunesse product and my face looked a lot brighter. I wasn't as big a fan of the scent of this mask; it reminded me a lot of the shower gels you get free in a hotel, and not a fancy hotel either. That said, you can definitely detect the smell of grape, which the mask contains. It also contains arctic cloudberry, anybody know what that is? These ingredients claim to maintain the skin's natural barrier. Again, this mask felt very cooling on the face, which I really like. After I rinsed it off, my skin felt cleaner than usual, however I think I noticed more of a different after using the Dead Sea Mud Spa mask. Have you tried these masks? What do you think? *DISCLAIMER: This is a PR sample. My opinions are still 100% honest as always. I love there face masks! Looks like I got a new set of face masks to include in my list! Thanks for sharing these wonderful facial products. Keep us posted with your latest facial finds. Hi!Great blog here.I love the Dead Sea Mud Spa.I just tried it a week ago and I'm happy with the results in my face.I highly recommend this one.